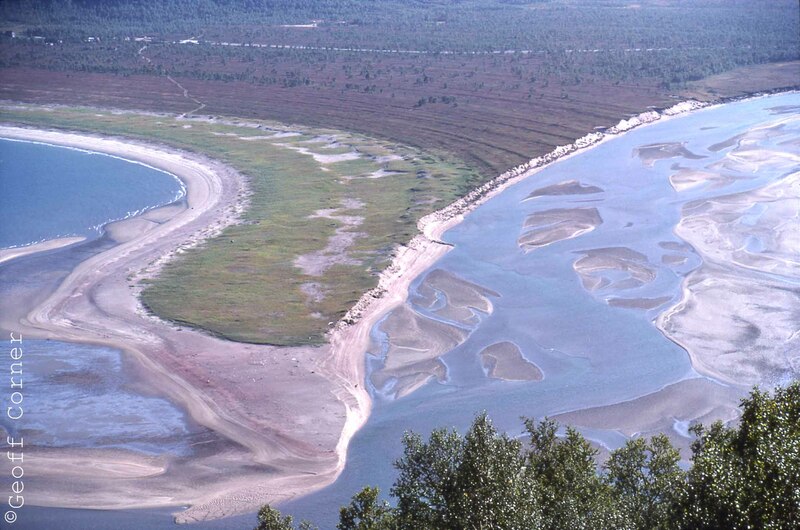 Research within the group Coastal and Terrestrial Geosciences includes morphological, sedimentological and stratigraphic investigations of Quaternary and pre-Quaternary deposits. Current topics are deglaciation history, palaeo-climate, sea level change, landscape- and deposit processes, sequence stratigraphy and rock-forming processes. Most of the studies are based on field work on land and in coastal areas in Norway and Svalbard, but some investigations are done abroad and on the Norwegian shelf. The research group uses several types of equipment for core sampling and geophysical equipment for investigations of sediments on land and in shallow water areas. The sediment laboratory is equipped with various instruments and microscopes for investigations of sediments and sedimentary rock types. More about field- and laboratory equipment (in Norwegian). 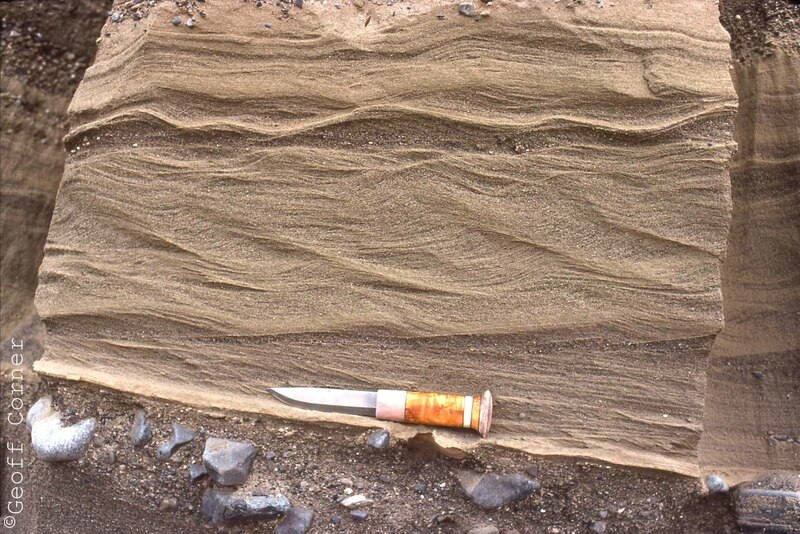 Ripple bedding in glacier stream deposits. Core sampling from ice covered lake in the polar night.